iBall already has its deep presence in the budget segment of Indian smartphone market. Adding to its already huge arsenal of budget devices, it has launched a new camera-centric smartphone, iBall Andi F2F 5.5U. With this smartphone, iBall is planning to introduce a new line of camera-focused smartphone under the F2F range. iBall Andi F2F 5.5U features an Exmor R camera lens, which according to iBall will capture extraordinarily detailed images. It sports a 5.5-inch IPS display with HD (1280×720) resolution and a pixel density of 267 ppi. Andi F2F 5.5U is powered by a 1GHz Cortex-A53 quad-core processor which is assisted by a Mali-T720 GPU and coupled with 1 GB of DDR3 RAM. The internal memory available in iBall Andi F2F 5.5U is 8 GB which can be further expanded up to 32 GB via an external memory card. It is the camera department which is the USP of this device. The rear lens is a sony Exmor R sensor which has been claimed by iBall to yield better results than any other normal smartphone in the same category. The 8 MP rear camera has f/2.2 aperture and a dual led flash module. The front camera has a 5-megapixel lens which can record videos in HD resolution. Apart from improvised photography hardware, iBall has tried to add features like HDR mode, live photos, and multi-angle shots. iBall Andi F2F 5.5U runs on Android 5.1 Lollipop out of the box. Connectivity options include GPS/ A-GPS, Wi-Fi, Bluetooth and 4G support. It sports ambient light sensor, proximity sensor, and accelerometer. It is fuelled by a 2700 mAh battery which has been advertised to deliver a standby backup of 10 days and around 7 and half hours of 4G talk time. 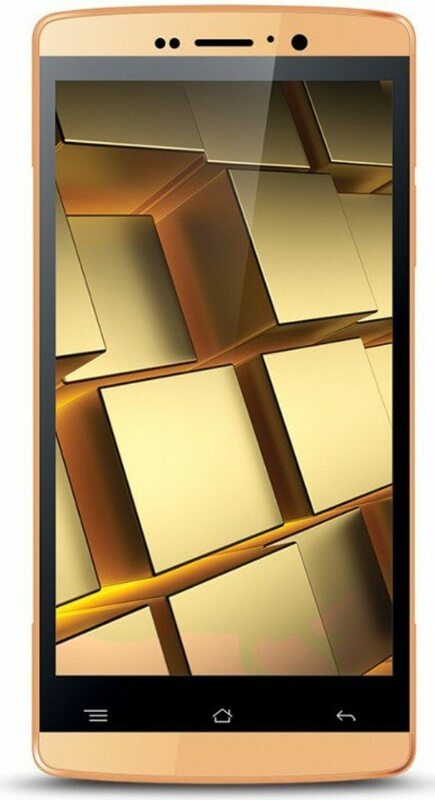 The iBall Andi F2F 5.5U is available only in golden colour option and has been listed on Amazon at a price of ₹6,999. Stay connected for more updates and leave your valuable queries in the comment box.